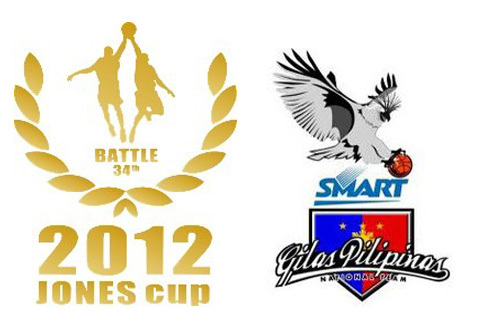 William Jones Cup 34th edition finale has come to an end this Sunday, August 26, 2012. But before anything else, let me first congratulate SMART-Gilas 2.0 for wining in their 7th game in this basketball event. Philippines won over the team of Chinese-Taipei A (Team Zhonghua) with the score of 76 - 72. This is Smart Gilas' 6th win in this years season. Now, our very Philippines team leads the game with a standing of 6 - 1 (w-l), while team Iran, USA and South Korea next on the line with a standing of 5 -2 (w-l). On tomorrows final event, Smart Gilas 2.0 Pilipinas will have to face on court team U.S.A. who holds a game standing of 5 -2 (w-l), if they win over USA, Smart Gilas will be the champiion of this years event of William Jones Cup 2012. Again, for the 6th time, let us all make noise on their winnings via sharing this post to your friends on Facebook, Twitter and Google+. Thanks you for keeping your eyes on my site while waiting for an update on this post, visit this page again for the next update of Smart Gilas 2.0 championship score. Comments or suggestions about "Smart Gilas 2.0 wins over Team Zhonghua " is important to us, you may share it by using the comment box below.